JIAE & CVI is the official, peer-reviewed journal of the IAE. Published three times a year, the journal is available in both online and print forms. It is an open access journal, with no fee for manuscript submission, peer-review and publication. 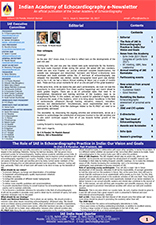 e-Newsletter the non-peer-reviewed publication of the IAE. 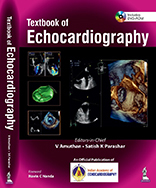 Published three times a year, the newsletter serves as a medium to update our members about latest academic/ social activities of the Academy, significant achievements of its members, as well as latest developments in the filed of echocardiography world over.